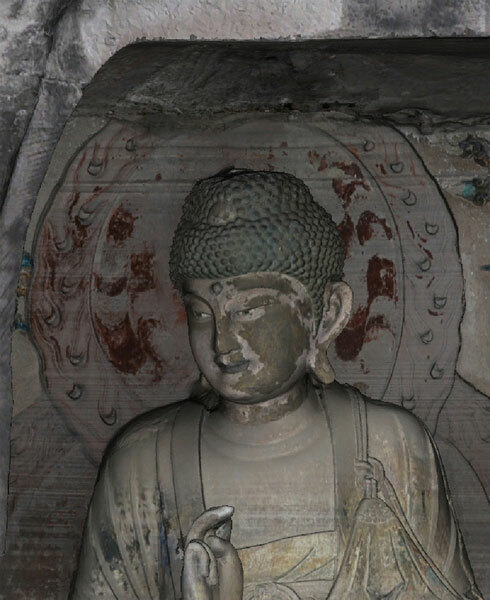 In november 2007, we were able to record several grottos and alcoves of the Yuanjuedong Grotto using a combination of terrestrial 3D laser scanning and concentrated, high resolution structured light scanning. 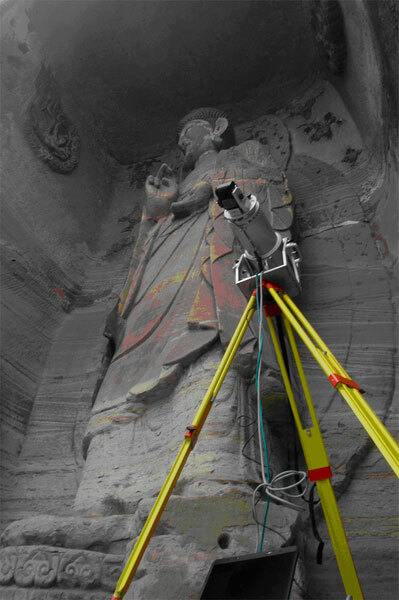 The examinations commisioned by the Technical University of Munich were the basis for the planning of different restoration and conservation procedures. The grotto system is near the city of Anyue near Mount Yunju. 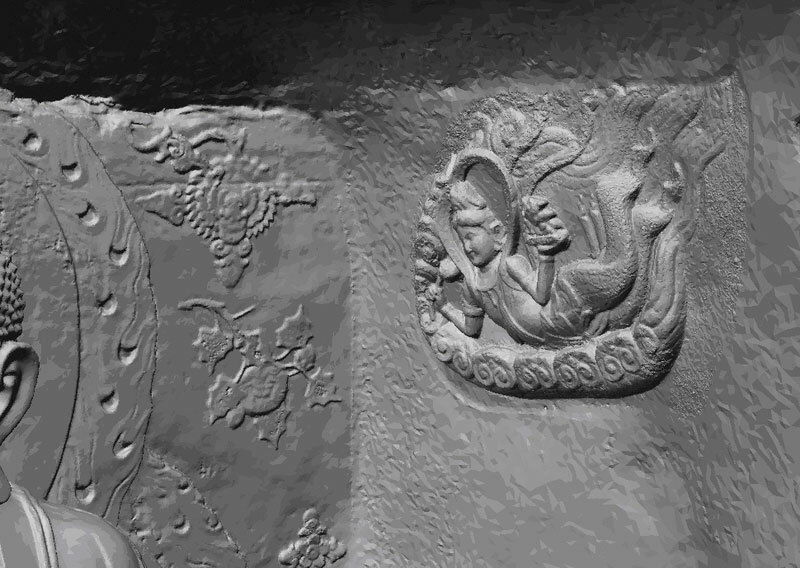 The system can be traced back to the Tang-Dynasty (618–907 AD). It’s prime time was during the “Five Dynasties” (907– 960 AD) and the Song- Dynasty (960–1280 AD). 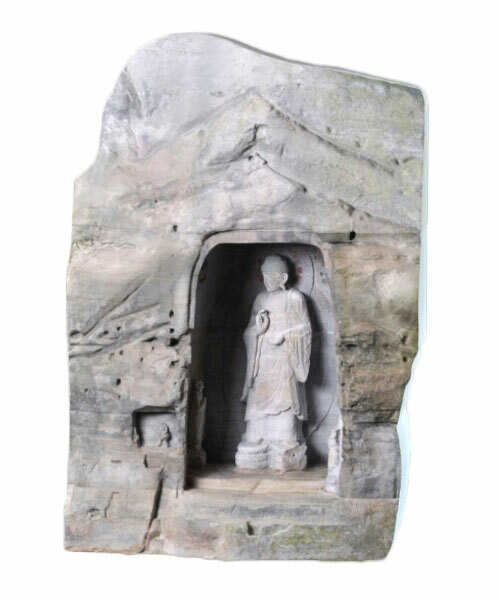 From 400 years of sculpturing, more than 100 grottos with almost 2,000 statues of different size are preserved. 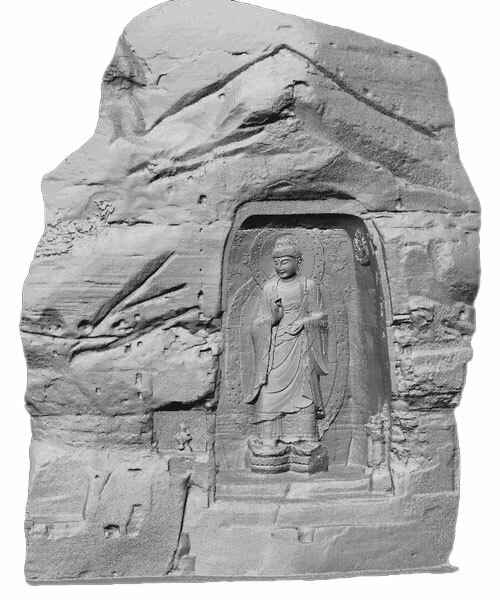 The monumental statue of Buddha Shakyamuni is 7m in height. 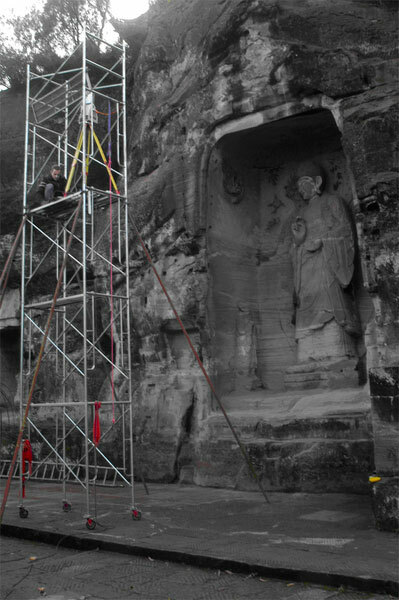 This grotto was surveyed by us during several night operations with a construction deploying a structured light scanner in a submillimetre range. Finally, our modelling department created photorealistically coloured, real 3D-models using the recorded data.